TheMakeupChair: Best Mascara Ever! NO MORE! If you follow my videos and my Friday favourites videos then you will know that I love Maybelline one by one "waterproof" mascara! Lets break it down into points! The wand grabs hold of each lash and as it combs through, each one gets a generous amount of product. It creates length and volume without the clumps! 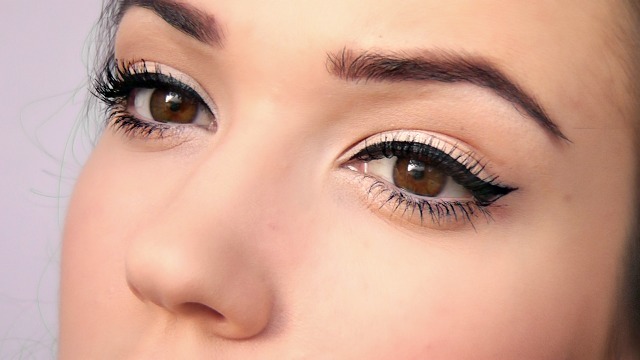 Its build-able and each layer brings you closer and closer to that fake lash effect! The black shade is a true black, no grey here! Once you apply it to curled lashes and lashes STAY curled all day! Prefect for that doll eyed look! Its becoming harder and harder to find which leads me to believe that it IS being discontinued after months of speculation!! here's hoping its just as good!! I am off to Boots to give one ago and I will post my thoughts on my blog soon!! It really does sound great. Hope it isn't discontinued! This is my all time favorite drugstore mascara too! I really don't feel the need to try any another drugstore mascara. I'm still trying to find my perfect mascara! I will have to try it out! Right now I'm using Maybelline Lash Stiletto, and the Maybelline Colossal Cat Eye. Hello! We are "Three Line" and we are your new followers. Congratulations for your blog. It 's really nice. We too have a blog. We would like to come on our blog. Have you tried it out yet? Curious of your opinion! !